'Buzz' Offers An Adoration For Bees Amid Continued Die-Offs The severity of the enormous reduction in bee numbers over the past decade is at the heart of a new book by conservation biologist Thor Hanson, whose appreciation for the pollinators shines through. Ecological statistics pertaining to bees carry a sting: More than 75 percent of the world's 115 primary crops require pollination or thrive better through interaction with pollinators. Bees are the primary pollinators in the animal kingdom, yet sudden and massive die-offs of these insects began in 2006 and continue now, with a 30 percent annual loss reported by North American beekeepers. 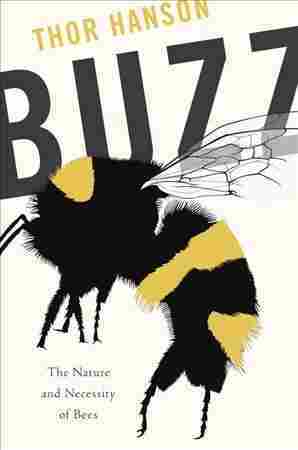 These statistics — and the severity of this enormous reduction in bee numbers — is at the heart of Buzz: The Nature and Necessity of Bees authored by conservation biologist Thor Hanson. The now-famous "Colony Collapse Disorder," where whole populations fall apart when workers go off on foraging trips and never return to the hive, is only part of the story, Hanson emphasizes. Bees face extreme pressures from the four P's — caused or exacerbated by human encroachment upon the natural world: parasites, poor nutrition, pesticides, and pathogens. A skilled communicator, Hanson explain details of these pressures through his interviews with bee biologists and conservationists. 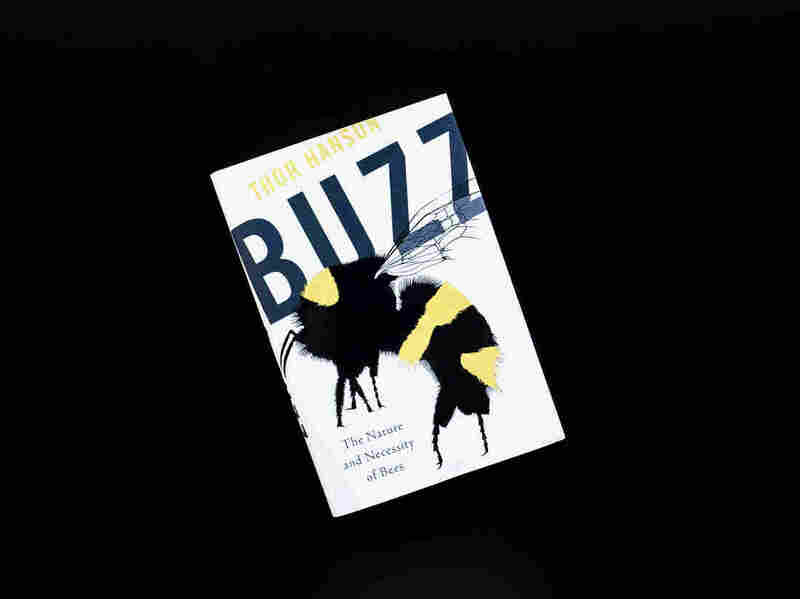 Buzz shines the most brightly, though, when Hanson's own adoration of bees comes through: he wanders around the landscape observing them and musing about their natural history in ways that light up the page and make the book a rewarding choice for readers keen on science and nature. Vegetarianism is at the heart of bees' lives. At some point in the past, flower-feeding bees evolved from carnivorous wasps. What would drive such a change? Wasps hunt one kind of prey for their own consumption, but then "track down something entirely different for their offspring." By contrast, "bees had the advantage of one-stop shopping," Hanson notes. "A good flower gave them sugary nectar for their own use, and protein-rich pollen that could be carried back home to nourish the young." Entomologists cannot pinpoint when this evolutionary divergence of bees from wasps occurred but know that it was before 70 million years ago, the date of the first "unequivocal" bee found in the fossil record. Thinking about this ancient date, the imagination flares: Did towering dinosaurs notice the tiny bees with whom they shared the world? From that point forward, bees and flowers have been locked in an intricate evolutionary dance. This choreography should not be romanticized, Hanson states flatly: "Bees perceive flowers as a resource, and flowers use bees as convenient tools." A theme in Buzz is the splendid diversity of the world's bees — a richness tallying to more than 20,000 species — that goes largely unrecognized because honeybees command so much of our attention. "All the multitudes of wild bees stand in the shadow of their single, better-known cousin," Hanson remarks. Native only to Africa, Europe and Western Asia, honeybees are invasive here in the Americas where at times they out-compete (and thus harm) native species. Honeybees are highly social, but the popular linkage of bees and bustling hives isn't necessarily accurate: Many bees are solitary. Once a mason-bee mother, for instance, lays an egg, she walls it up with a supply of food and "moves on without a second thought," Hanson explains. Natural-history work on bees requires collecting bees for close and comparative analysis. This is the method by which entomological science unfolds. "Killing jars quickly produce piles of dead bees that must be fixed on pins," Hanson says, to allow for accurate identification. Even as he pens a near-ode to a beautiful opalescent alkali bee – "the first one I fell in love with" —he notes how quickly he scooped the bee into that lethal jar. I can't help but think that this specimen collecting, multiplied as it is by all the entomologists, graduate students, and amateurs who carry it out, could be somewhat reigned in for the sake of the living animals, without hurting science. Just like the Hadza hunter-gatherers of today, our Paleolithic ancestors almost certainly prized the sweetness of honey, and we know that people kept bees long before horses were domesticated or crops like apples or coffee were planted. Now, heavy dependence on bees as a key pollinator for our own foods means we're at a crisis stage. Hanson travels to the almond groves of California's Central Valley where 81 percent of the world's almonds are grown and where rented pollinators run the show — bees trucked in from as far away as Florida and Maine. Pollinator conservation experts are working to entice local bees to the almond groves by planting bee-friendly flowers and hedgerows. Hanson urges his readers to go outside on a sunny day, "find a bee on a flower, and settle down to watch." That's a great idea for a languid summer day, and his own rambles to bee-besotted cliffs on the island in Washington State where he lives provide charming models. Our appreciation for bees shouldn't stop there. Hanson insists that we already know enough about the ecological crisis unfolding "to act in specific ways" on behalf of these insects whose lives intersect so closely with our own. Among other things, all of us — "ordinary citizens" as well as conservationists, Hanson says — can work toward reducing the use of pesticides and build up our landscapes to include more flowers and bee-nesting habitats. Barbara J. King is an author and anthropology professor emerita at the College of William and Mary. Her most recent books are How Animals Grieve and Personalities on the Plate: The Lives & Minds of Animals We Eat.